We have a variety of sports facilities, most of which are open to the local community for personal use or commercial venue hire. Our sports hall has multi-use markings that make it suitable for a range of sports including badminton, football, netball and cricket. 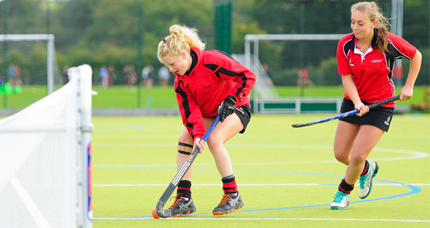 Alternatively, we have artificial turf pitches outside which are available to hire throughout the year. 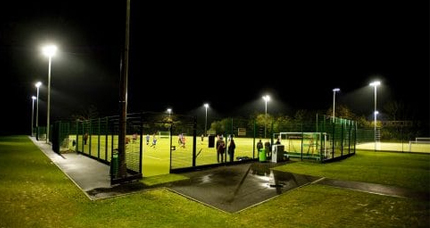 Our sand-dressed, floodlit, artificial pitches are the area’s leading surface for all-year-round training and matches. They are available for hire seven days a week, both during the day and in the evening. We welcome local clubs, associations and individual users. 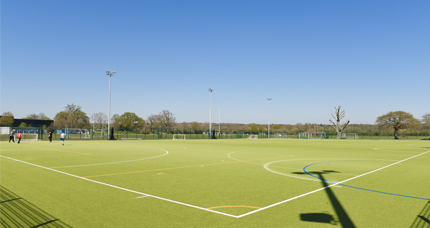 The pitches can be hired for ‘one off’ use or as an annual block booking. 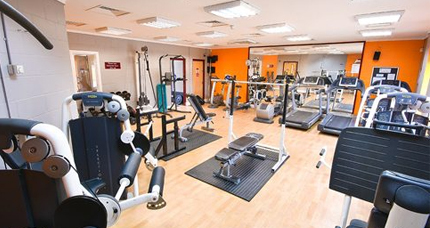 Our gym has a range of cardio vascular machines, resistance machines and free weights. 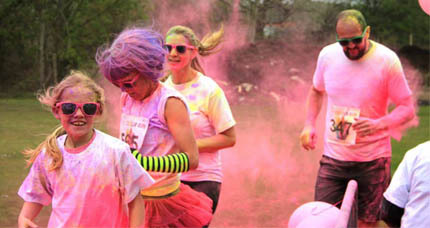 We also have experienced personal trainers on hand to offer advice and support to help you achieve your fitness goals. There is plenty of free parking on site and changing rooms with showers to ensure that your workout is convenient and enjoyable. Please note: the gym is ONLY available to staff and students. Student opening times: Please see the gym timetable on the wall outside the gym. Times are subject to change. We are also happy to consider non-sports related bookings. The hall is may be available for hire outside of our normal opening times (subject to facility and staffing availability) please contact for more info. We have three floodlit all-weather courts. 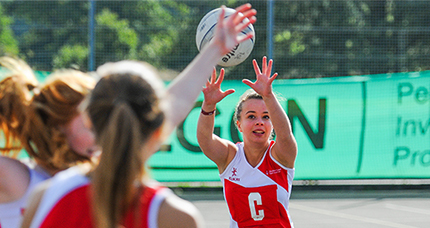 High quality backboards are in place and sunken padded posts are available for netball. The courts can be used throughout the year for match play, training or general activity. 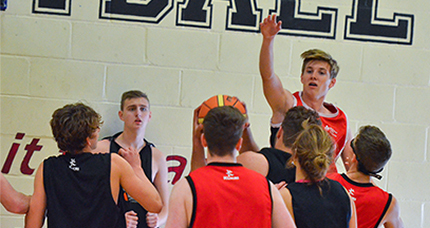 We have one floodlit all-weather Basketball court which can be used throughout the year for match play, training or general activity. 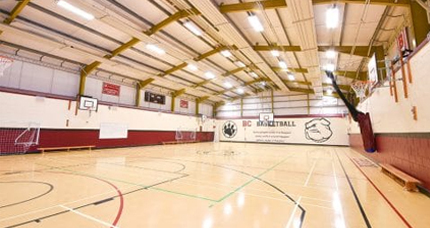 We also have an indoor Basketball court that is available to hire. We offer year round tennis coaching and ‘pay & play’ sessions for both adults and juniors. All levels of ability are welcome. Our four floodlit all-weather courts are of a grade 2 LTA standard. Please see below for information on prices. The sports hall, fields and pitches are available for hire during the following times. We may be flexible with these hours upon request. If you are part of an affiliated group that is led on a voluntary basis, or are making a booking a group of under 16s, then we can offer you a junior discount rate of 20%. This excludes hire of the facilities by commercial companies. Please contact to find out if you are eligible. Our campus is a fantastic venue for hosting a variety of events.